Born in China, Emily Wang moved to New Zealand as a teenage international student in 2002. Back then she spoke little English and had no idea about New Zealand. Today, Emily has a university degree behind her and has forged for herself a successful career in fashion design in New Zealand. She also recently secured New Zealand permanent residence together with her partner Jordan. 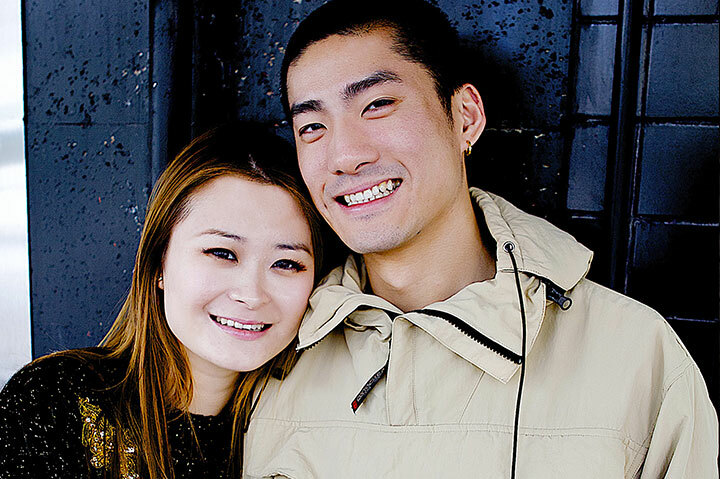 The couple are ideal skilled migrants. Jordan was also an international student in New Zealand at a young age, studying hard to gain qualifications in both the hospitality and travel / tourism industries while also working at his favourite shoe-store, the Foot Locker. Gaining a Bachelors Degree in Art and Fashion Design from the Auckland University of Technology (AUT), Emily worked in a number of jobs developing expertise in the fashion industry, where she has made numerous friends and acquaintances. After completing an internship for New Zealand Fashion Week in Auckland in 2005, she went on to complete two further internships at high-end fashion labels in Auckland – including Trelise Cooper Ltd (Auckland) in 2008 and Karen Walker Ltd (Auckland) in 2008. She then worked for Auckland Leather Fashion Ltd as a Designer Assistant in 2009, was short-listed for an Assistant Designer position at a well-known fashion company, and in October 2009 was offered a job with Mischief Shoes at their opening Broadway Newmarket Store – becoming the first non-New Zealander to be employed by the company country-wide. Her sales performance at Mischief Shoes was so impressive that within only months she was promoted to the position of Assistant Store Manager, and she remains the number 1 salesperson in the company in Auckland. Mischief Shoes have now earmarked her to be Store Manager at their next store to be opened in Auckland. The couple called upon McLeod & Associates to take over their application for permanent residence after another local company had failed to support them at a critical time. Emily describes McLeod & Associates as “responsible, earnest, honest and dependable”. Emily deeply appreciates the lifestyle and opportunities that New Zealand has provided her. “I think New Zealand is an artistic country,” says Emily. Having studied hard in order to be able to permanently live, work and play in New Zealand, Emily and Jordan recommend “cheerfulness, open-mindedness, a positive attitude, honesty, and dependability” as key traits for successful migration.